Foundation Sans is a sans serif typeface published by FontSite Inc. which comes in 24 styles, (including italics), some useful OpenType features and Latin language support. It is ideal for any kind of project, specially for branding. 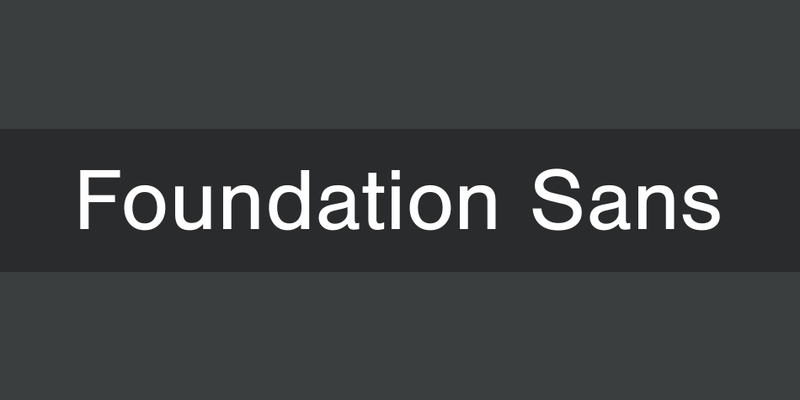 Start a design foundation with Foundation Sans! A font description published on Friday, September 23rd, 2016 in Fonts, FontSite Inc. by Alexandra that has 8,504 views.